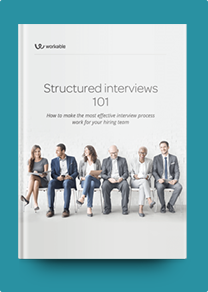 This Executive Secretary interview profile brings together a snapshot of what to look for in candidates with a balanced sample of suitable interview questions. Executive secretaries undertake administrative and clerical duties typically for senior management. They’re experienced in the role as they have a lot of responsibility. While most administrative assistants will remain focused on basic tasks, executive secretaries will have further duties involving research, writing reports and preserving confidentiality. Some companies prefer executive secretaries to possess degrees although that’s not always necessary. Depending on your industry, you can screen candidates according to their knowledge of specific terminology or relevant legal guidelines. Start the interview by asking candidates about common skills like communication, typing, basic bookkeeping and organizational ability. Proceed to assess how their skillset extends to knowledge of research techniques, reporting, vendor management and leadership (if they’re expected to supervise other support personnel). If the position reports to the CEO or another C-suite executive, make a point to ask situational questions about what they may encounter in this high responsibility role. Imagine your executive has to travel to a city they’ve never been before. How would you go about making travel arrangements? How do you ensure lower level support staff are performing their duties effectively? If a high level executive asked you about your boss’s plans regarding a specific matter, what would you say? How does your experience make you ideal for this role? What’s your experience with “back-office” software? Have you managed a budget before? What’s your experience with expense reporting? Have you ever made a mistake while handling files? How did you correct it? Recall a time when you had to complete multiple projects with tight deadlines. How did you prioritize your tasks? Describe a complex project that you worked on with a group. What was the goal, and how did you work with others to accomplish that goal?